It's near new and it's awesome .. .lovely 3 bedroom, 2 bathroom Moduline Home set up on its own 0.72 of an acre lot. Community sewer and a terrific well. Bright home with vaulted ceilings and skylights. 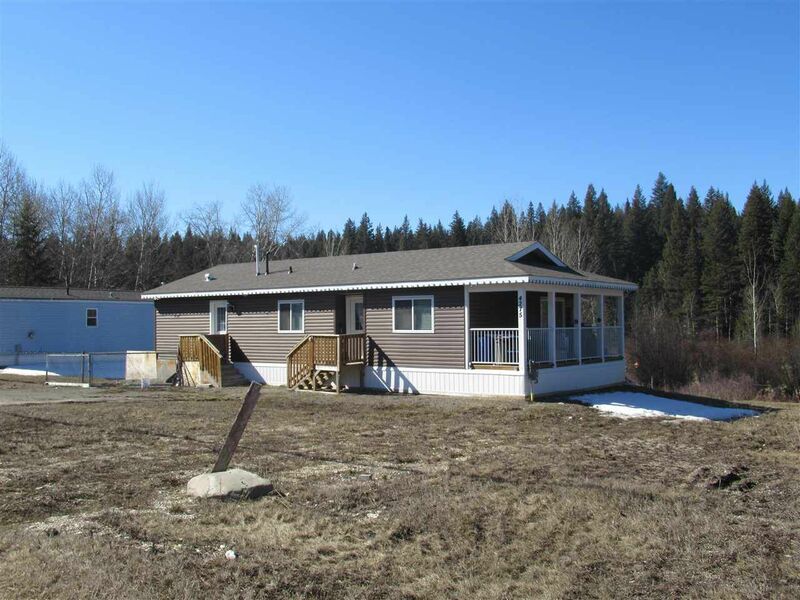 Open concept living backing onto a pond/lake in a quiet community 10 minutes to Williams Lake. Level usable lot with room for a shop or workshop and always a spot for your fire pit. Covered deck 24' x 6 to enjoy the peace and quiet your summer BBQ and quiet evenings.